iPhone cameras are endowed with some of the finest lenses for capturing breathtaking photos. If you are a photography enthusiast you would agree. 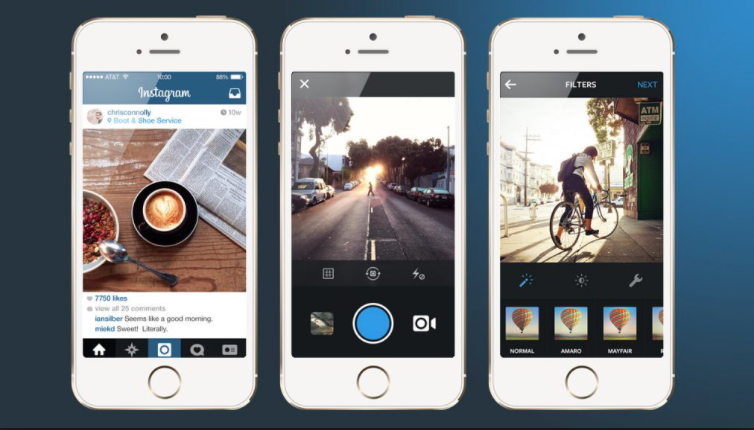 However, to add more flair and finesse to your iPhone photography you will need a decent photo editing app. With an abundant amount of apps available on the market, it’s difficult to ascertain which photo editing app you ought to choose. To allay your scouting pains, we have made a roundup of some of the best photo editing apps for iPhone that users of all hues would feel comfortable using. Google’s spectacular Snapseed is a very popular photo editing app for iPhone users, and for reasons aplenty. First off, it’s quite easy to use, and secondly, it boasts a powerful set of editing tools. Not only does Snapseed excel in basic photo processing techniques such as color, sharpening, exposure, cropping and sharpening, but it also proffers advanced editing fare such as a healing tool for removing unwanted objects and selective adjustments. Besides, you can choose from hordes of creative filters to convert your photos to black and white, add blur effects, apply textures, and enhance the overall mood of your photos. Snapseed is a must have if you are just starting out with photo editing on an iPhone. A one-stop destination for all your photography needs on an iPhone, PicsArt offers a cool photo editing tool with many rich features. You would be delighted to know it also doubles up as a nifty collage maker through which you can combine numerous photos together. 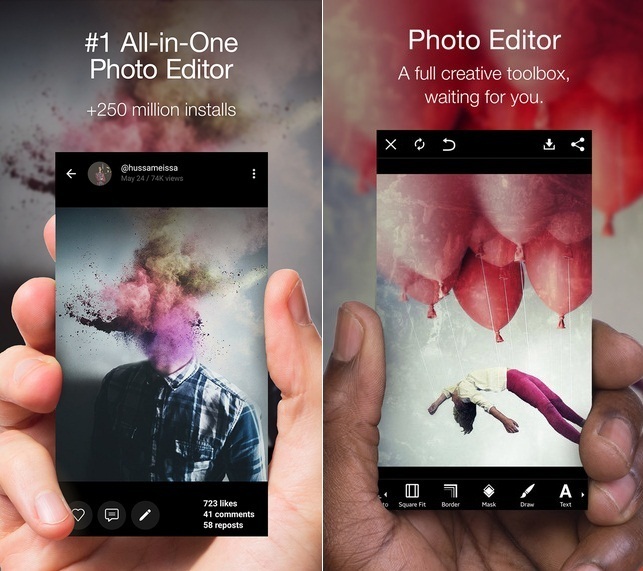 Users can choose from hundreds of free templates to make their snaps stand out. Moreover, you can also choose from a wide range of stickers and clipart that are just a single tap away from being applied onto your photos. You might have heard of VSCO Video Editor. It has a popular cousin in the photo editing realm too. Doubling as a solid camera app and photo sharing platform, VSCO photo editor proffers a rich collection of filters and user-friendly editing tools. 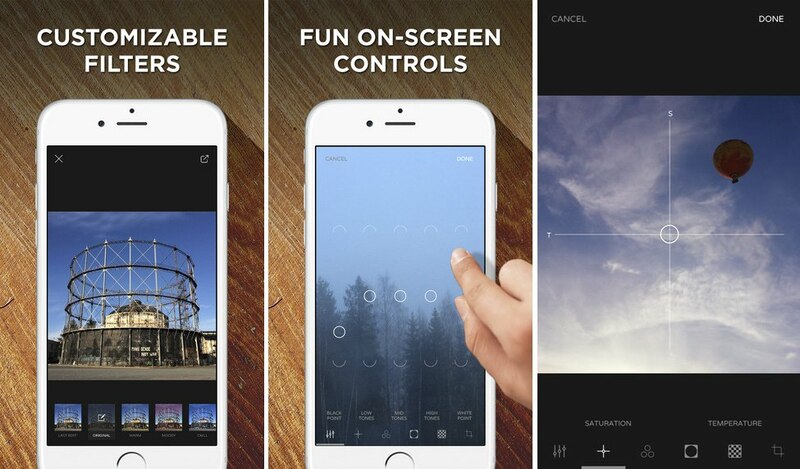 Unlike other apps on our list of the best photo editing apps for iPhone whose filters can be flashy, and at times overpowering, VSCO’s presets are intrinsically made to replicate modern analog and classic with a soft and slightly faded look that’s already a rage on sites such as Instagram. 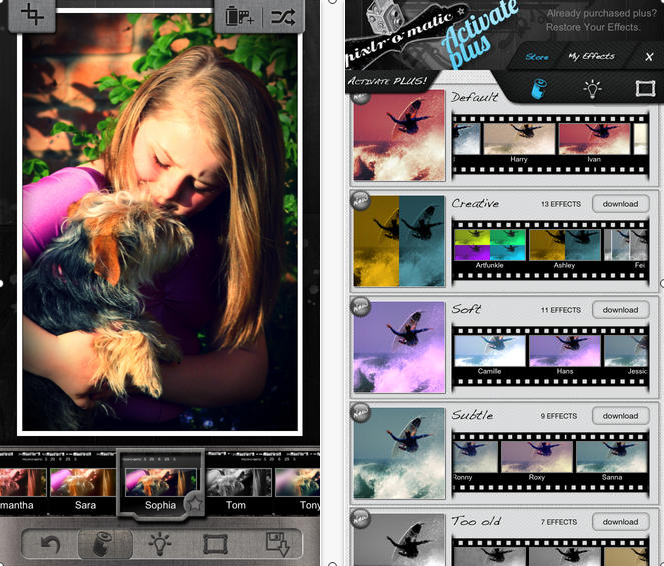 Moreover, you can adjust the strength of any filter to suit your taste and fine-tune your photos. Even though Adobe’s Photoshop Lightroom shares DNA with its desktop namesake, it’s still an extraordinarily powerful tool for editing and sharing images on your iPhone. You can use its HDR mode to automatically expand the range of exposure and recreate the scene exactly as you saw it. Also, it follows a non-destructive editing style allowing users to revert their changes. Not to mention, Photoshop Lightroom has 5 magical presets that allow you to view the effect while you are taking a snap and you can fine tune the effect later. The only downside is that you will be able to enjoy its full-fledged wizardry if only you have a Creative Cloud subscription. Without it, features such as RAW image import/editing and selected area adjustments are beyond your reach. 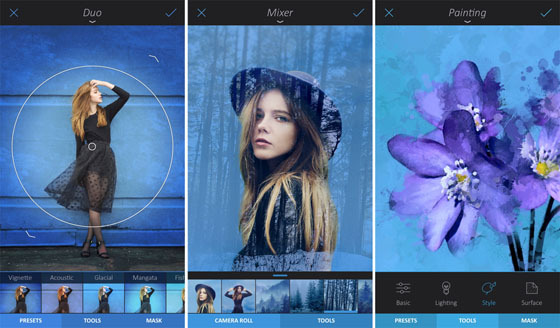 Another Adobe entrant in our list of the best photo editing apps for iPhone, Adobe Photoshop Fix can carry out most editing tasks without asking you for a Creative Cloud subscription. In fact, Photoshop Fix is a mobile spin-off from the legendary desktop photo editor, Photoshop and boasts fascinating features such as Face-Aware Liquify, which can alter facial features. Not really mind bending stuff, but when used cleverly, it can widen a smile or make cheeks slim. So much so, Adobe Photoshop Fix comes in handy for fixing little blemishes such as spots or dark circles beneath the eyes. Moreover, if you are using an old iPhone which doesn’t have Portrait mode, you will surely dig the Defocus feature which can blur the background. You might be wondering what the heck is Instagram doing on our list? Well, Instagram has come a long way after being acquired by Facebook in 2012. Even though Instagram is essentially a social networking app for sharing pictures, it still retains its charm of being a photo editing app. With plenty of dazzling filters such as Nashville, Hudson, X-Pro II, Gingham, etc., to enhance your pictures with a single tap, you wouldn’t want to shy away from utilizing Instagram’s resourcefulness. 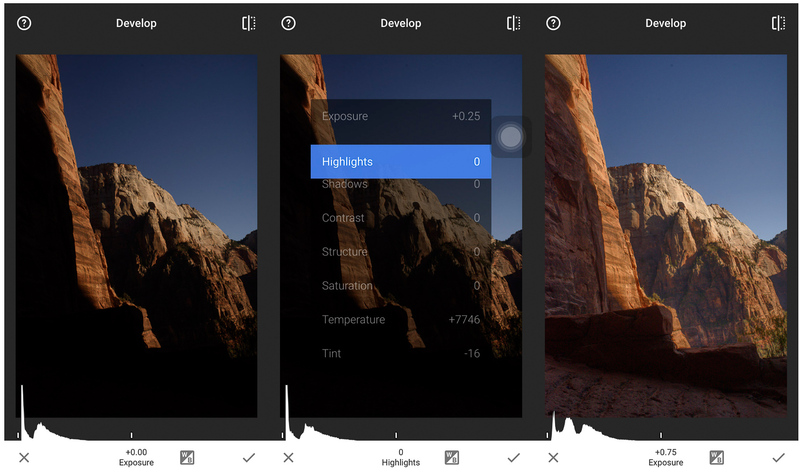 Not to mention, users can also adjust the intensity of filters apart from tweaking basic editing fare such as brightness, saturation, contrast, etc. With Polarr at the helm, everything one would expect from a photo editing app becomes a reality. Thanks to a standard set of editing tools and numerous filters to enhance your iPhone pictures within minutes, Polarr is a beast of a photo editor. 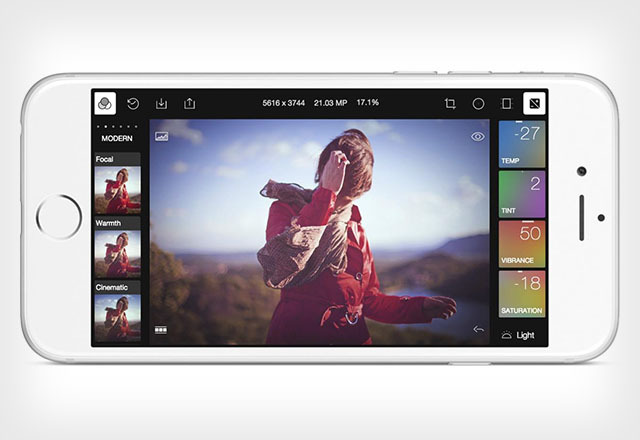 What else injects Polarr into our lineup of the best photo editing apps for iPhone? A robust and highly accurate face detection feature makes it truly stand out. What’s more, you don’t even need an internet connection to work on Polarr and expend its features. Basically, Polarr makes use of Apple’s face recognition API in iOS 10 and later and forges highly accurate edits of a person’s face in a photo. Even when there are many people in a frame, it can make each face distinctively stand out. 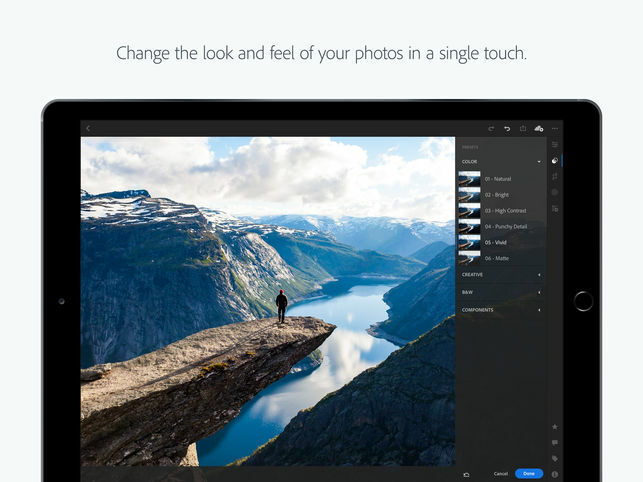 Despite being a massively popular online photo editor, Pixlr can also edit photos offline in a hasslefree manner through its iOS app. Pixlr brings some unique tools to the forefront such as blur, heal, smooth, autofix, and splash, which to be honest, are hard to find on some of its competitors. Moreover, Pixlr is endowed with a nifty Double Exposure feature that lets users combine two photos using blend mode and opacity slider. Cool, isn’t it? 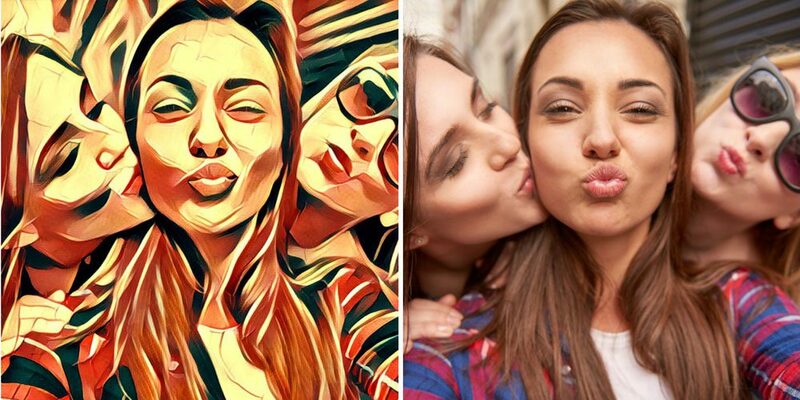 Lastly, no great photo editing app is complete without filters, and Pixlr racks up a number of cool filters for you to play with and bring out more definition in your iPhone photos. 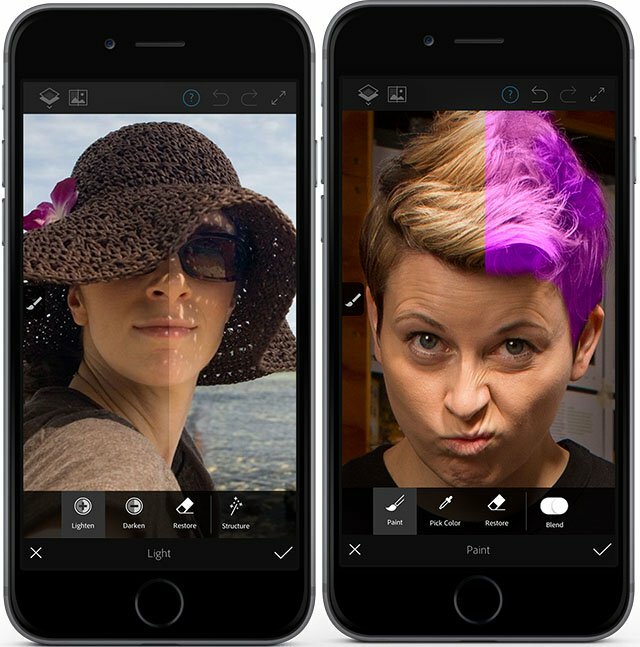 A rather unique entity on our roundup of the best photo editing apps for iPhone, Enlight provides selective control over exposure, details and colours. The USP of Enlight are amazing tools such as light leaks, vignettes, two-tone gradients, double exposure, tilt shifts, clone tool, inbuilt masking for seamless blending of effects and intelligent photo correction which can all be harnessed to bring out more clarity and detail to your photos. Not to mention, Enlight comes loaded with all the important features many of its rivals have such as basic editing tools, drawing tools, borders, frames, crop, rotate and creating collages, et al. Rounding off our list of the best photo editing apps for iPhone is Ultralight which sports probably the finest user interface miles better than all its rivals. Not only is it intuitive and smooth, but it hooks you in from the get go. That’s what an editing app should be, isn’t it? Just use the app for five minutes, and see what I’m on about. Besides, the super-smooth layout and interface, Ultralight provides all the basic photo editing amenities with the right tools, filters and sliders at the right places, which helps in super-fast photo editing. Once again, like some of its competition, Ultralight offers non-destructive photo editing with the ability to undo & redo edits and can adjust curves, vignette, textures, saturation & temperature, and more. And…that’s a wrap! 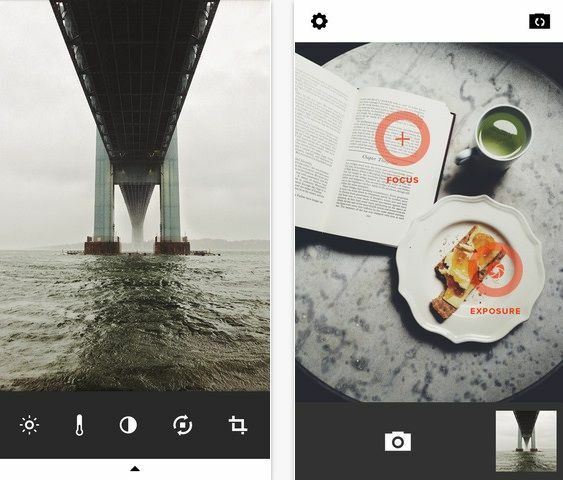 So, did you like our roundup of the best photo editing apps for iPhone? Did we miss out on any app that you know of? Sound off in the comments.